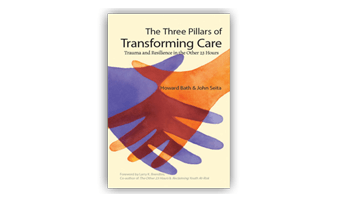 "The Three Pillars of Transforming Care: Trauma and Resilience in the Other 23 Hours" book was written for those who live or work with children and young people who have been exposed to severe adversity and trauma. It provides a summary of recent research and clinical wisdom then explores the three core trauma-related needs of these vulnerable young people and what we most need to do to promote healing and growth. Illustrated throughout by the voices of children and young people who have experienced trauma, the Three Pillars stresses the importance of supportive and informed interactions in the ‘lifespace’, where young people live, work and play, rather than a reliance on formal therapies and treatment.